Massage website domain names for massage professionals. All massage domain names are geo-targetted and contain your main industry's keyword. They are fully Search Engine Optimized domain names. Many might tell you that Google and other crawler search engines don't put an emphasis on such things anymore, but the experts at Here To Help You have done the research and these things still make a huge difference on where you end up in the list of search engine results. A good domain name along with good copy will have you on top in no time. Be on top  get your fully optimized domain name now before your competition swoops it up. MANY NON-MASSAGE RELATED DOMAIN NAMES ARE ALSO AVAILABLE! 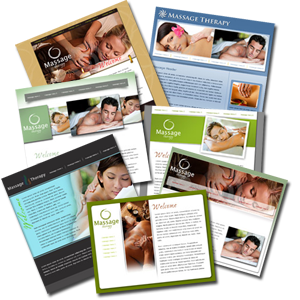 The Client Generator has been updated with all new contemporary massage website designs for you to choose from. You can even have your own unique design created by us, highlighting your existing branding efforts. But that's not all! The Client Generator features some exciting new functionality. You can now integrate all of your social media into your Client Generator massage website, add a links page to highlight your favourite links and affiliate links, and add a testimonials page where you can input your own testimonials. There's also some new massage marketing e-courses for you to access absolutely free. You don't have to be subscribed to the Client Generator massage website service to access free e-courses in the e-Marketing Club. Simply subscribe below for free. "The Client Generator has been my main source of referrals, next to word-of-mouth. Just last week I had three new clients that came from my website. Two of them rescheduled. Awesome. There is no other type of marketing that I have had such success with. I am so fortunate that I am the massage therapist in my area that found out about the Client Generator first. Wonderful. It is even helping some of my colleagues because if I absolutely can't get someone scheduled in a timely fashion (sometimes I am booked out six weeks), I refer them on. Everyone benefits. Check it out! BEST marketing ever!" If you don't have the time or the inclination to create a website yourself, we'll do it all for you. We'll write the sales copy, create your website, and help to make sure that your website gets found at the top of the search engines, like Google™. We'll create and send an information packed massage online Healthy Living newsletter to your clients and prospects each month. And we'll even create and manage an online advertising campaign for you at no extra cost. Instead of charging $3,000 to $5,000 that it would cost to have this kind of website custom built, you pay a small monthly fee of only $59. This is an exclusive service with only one website created per city, so reserve your city today before it's taken by your competition. "I have been using the Client Generator website for many months now and I can say that I am very impressed. My massage clients all enjoy the newsletters very much and get great information from the content. I was also impressed with the fact that within a very short period of time, my website was ranking in the top 3 on the search enginesalways a great bonus in attracting new massage therapy clients. Being somewhat techno challenged I also really appreciate how quickly and effectively any questions or concerns I may have are addressed. I highly recommend HereToHelpYou.com to any massage therapist looking to increase and or maintain an effective massage practice." and resources to help you simplify not just your business, but your life. The insightful e-Marketing for Small Businesses ezine delivered regularly to your inbox. Online member area: Access all past issues of the e-Marketing ezine and other valuable resources. Find the exact information you want when you need it. A discussion area where small business owners like yourself can get together, share ideas and provide support. The Resource Center, where you'll find the listings of the best tech and web-based resources available for making your business easier, all specifically geared to your type of business. Future customers will be paying $49 per month for access. But if you sign up now during our development period we'll give you lifetime access absolutely free, no strings attached. Click here and become a member now before the monthly fee kicks in and get free access for life. 1. Choose the look and feel of your site: Choose from over 1,500 templates or create your own unique look. 2. Name your pages: Create five for now and add as many as you like afterwards. Your website is now live! Now that you have a professional looking site, take your time to add content and great tools like a shopping cart, customer newsletter, discussion board and more-all included for as little as 80 cents a day. No credit card is required to test it out and there's no obligation. So give it a try now! your daily coffee, you'll have created a powerful client-generating website to take your business to the next level. The Search Engine Ranking Boot Camp with Sergeant Will B. Rankin. Why are some websites found at the top of Google while others (maybe even yours) don't seem to show up at all? Our search engine expert, Sergeant Rankin, will get you flexing your online marketing muscles as he takes you through the paces and makes sure your site rises above the others to reach the top of the search engine results in this unique Search Engine Ranking Boot Camp.